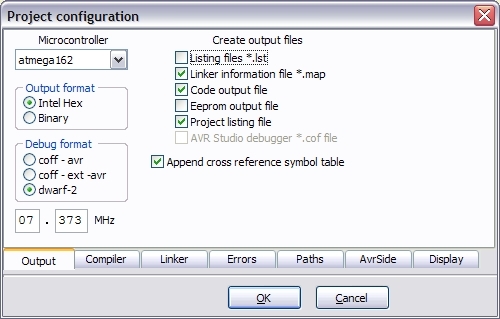 AvrSide is a simple auxiliary tool to support using avr-gcc at Windows platform. When I started with the avr family in my amateur electronics lab, I found avr-gcc powerful and great but not suitable enough - especially for a beginner like me. 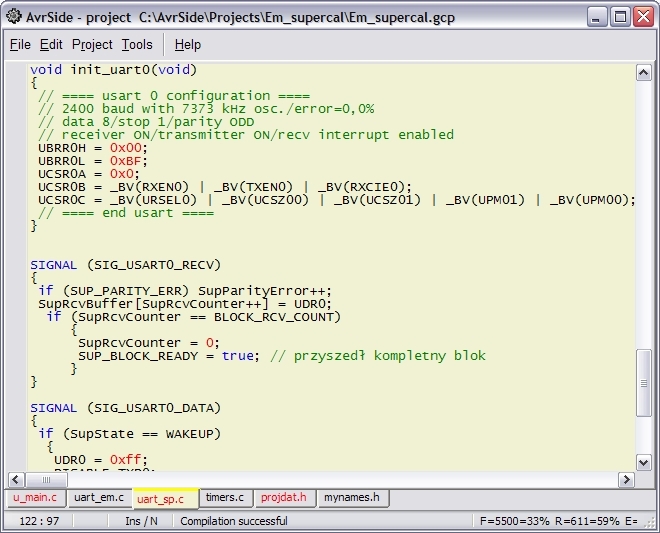 Then, I decided to build my own simple ide ("side") first. Everything is still under construction - many options are to develop yet ( and many bugs may appear ;-). The last snapshots are always available here.The program is free software, you can use and develop the sources yourself under the terms of GNU General Public License version 2.0 or later. embedded ISP interfaces based on com port and USB . A.Sources navigator - let us quickly show required file ( with mouse click, keyboard shortcut or popup file list ). 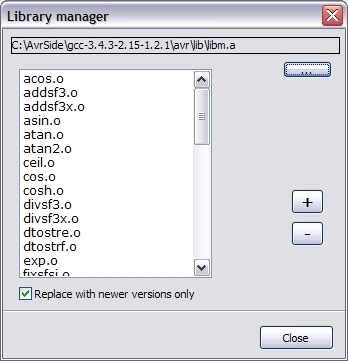 B.Simple project manager - files in editor tabs are simultaneously a project file list. Adding / removing a tab with a new file means adding / removing this file to project ( we can do it quickly with a project popup menu). Such a solution let us control all the project contents without any additional manager panel. However, there's no possibility to hide some tabs. Instead we can connect mostly used files to group ( red tab captions ) and switch inside group with dedicated keyboard shortcut. And - when a file is fully completed we may remove it from tabs and add it's relocatable *.o output to linker options. Source won't be compiled any more then, but still will be linked. 1. Multifunction (errors & warnings or search results) errors window. 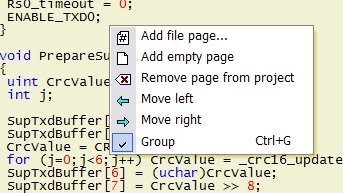 From here we jump to an appropriate line in source code ( with enter or double click ). 2. 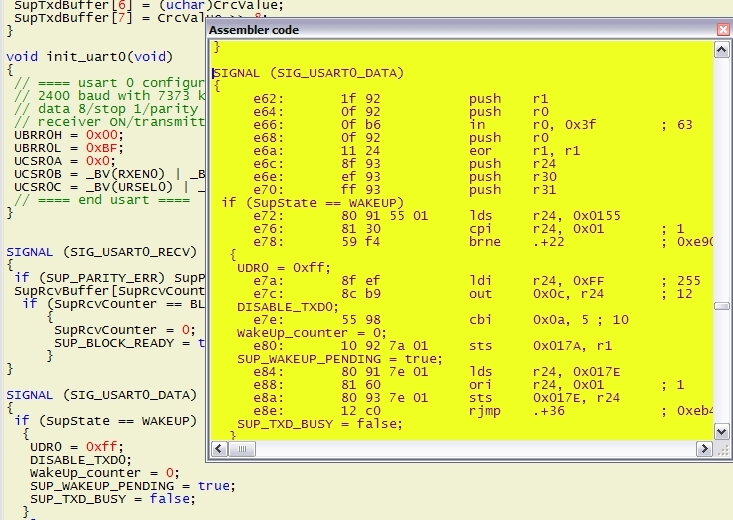 Asm code preview window. 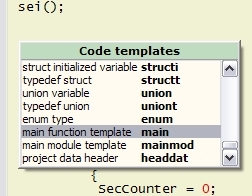 Shows relocatable code for single file or full linker output code. 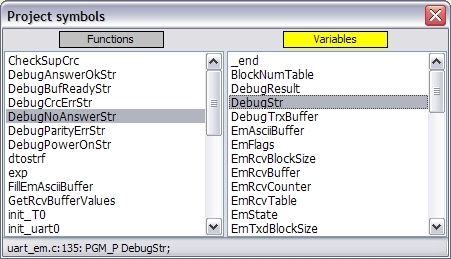 Clicking C source line (with opened asm preview) displays an appropriate asm block ( of course if exists after optimisation ). 3. Symbols window. Lists symbols used in project ( with declaration hint in status bar ). 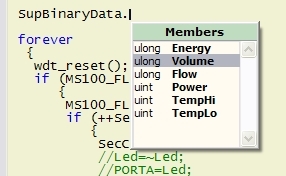 Enter / double click searches current symbol in project, CTRL+enter inserts current symbol into code. 4. Projects browser. 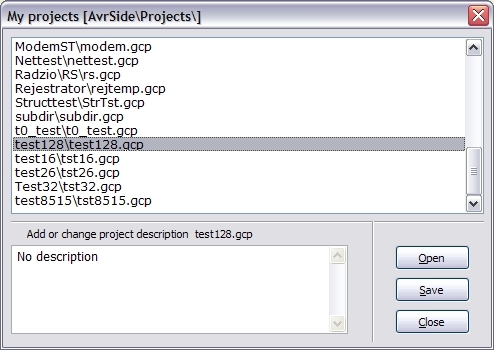 Searches and lists projects in AvrSide\Projects folder. A short project description may be added. It is assumed that every project is located in separated subfolder of \Projects. 5. Options dialogue. 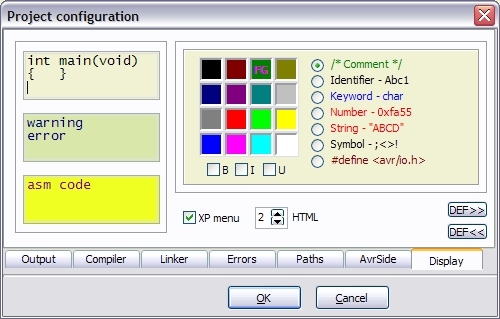 There's a place to set configuration of uP, compiler, linker and IDE itself. Many options are omitted yet ( as section addresses for example ) but they may be added as text if needed. (3 little left panels have right-click context menu to set font and background of main windows ). 5. Simple library manager to browse *.a archives and create your own ones. DO NOT use to experiment with avr-libc system archives : erased modules will be lost . 6. 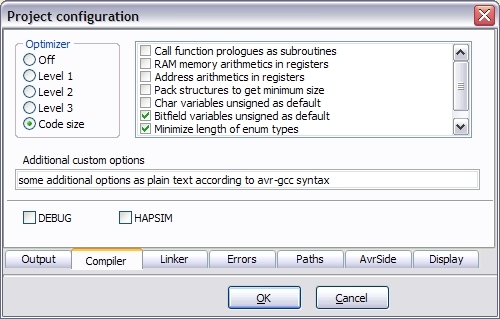 Code completion, avr-libc functions/constants and structures fields drop-down lists.